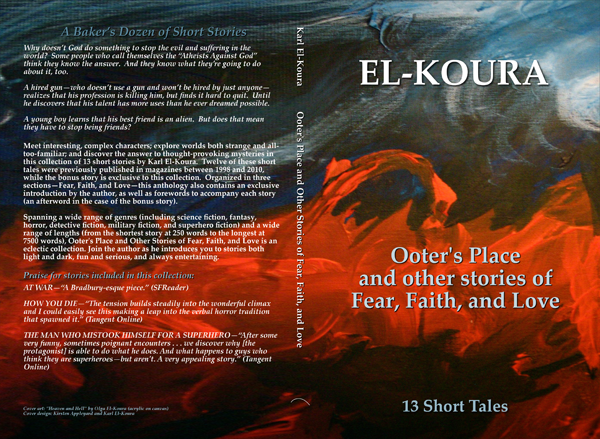 Meet interesting, complex characters; explore worlds both strange and all-too-familiar; and discover the answer to thought-provoking mysteries in this collection of 13 short stories by Karl El-Koura. Twelve of these short tales were previously published in magazines between 1998 and 2010, while the bonus story is exclusive to this collection. Organized in three sections—Fear, Faith, and Love—this anthology also contains an introduction by the author, as well as forewords to accompany each story (an afterword in the case of the bonus story). 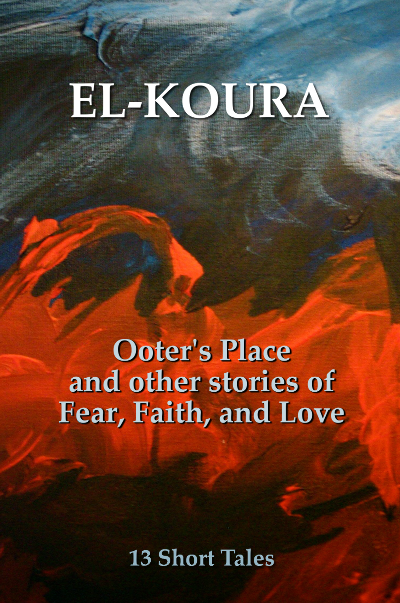 Spanning a wide range of genres (including science fiction, fantasy, horror, detective fiction, military fiction, and superhero fiction) and a wide range of lengths (from the shortest story at 250 words to the longest at 7500 words), Ooter’s Place and Other Stories of Fear, Faith, and Love is an eclectic collection. Join the author as he introduces you to stories both light and dark, fun and serious, always entertaining. For a taste of the kinds of stories collected in this book, download Ooter’s Place: A Sampler. Availaible in a wide range of formats compatible with the Kindle, the Nook, Sony Reader, Kobo, and many others, the sampler contains the full introduction and the stories that start each of the three sections, along with their forewords. 13 short stories spanning a wide range of genres. Also includes an introduction by the author.